"Anything that is forced or misunderstood can never be beautiful." It is my hope that by sharing the precious knowledge given to me by modern day masters of the ancient art of dressage, I may in some way do my part to keep alive the beauty and purity of the love of riding and of the horse. My blog on Classical Dressage has articles on the philosophy of riding as art, the progressive schooling of the horse, the classical seat, as well as shared knowledge gained through personal experience and reflection. 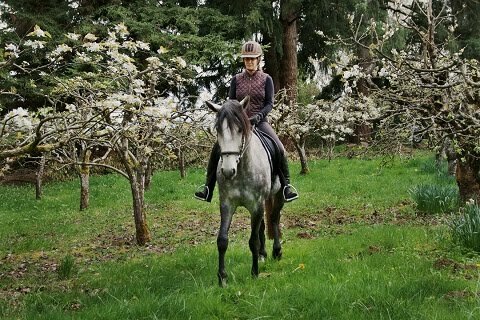 The events page of this site lists upcoming educational events at my farm, such as dressage clinics with internationally esteemed riders, known for the wealth of their knowledge, and also their passion for both riding and teaching.